Firefield night vision monoculars are generation 1. They range in magnification from 1x to 4x with objective lenses as small as 24mm and as large as 50mm. 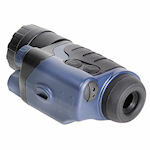 Firefield N-Vader Digital Night Vision Monoculars are great for any nighttime activity outdoors. Available in 1-3x and 3-9x models, they include a powerful IR illuminator. 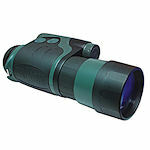 Firefield Nightfall Night Vision Monoculars use digital processing for an image that falls between Gen 1 and Gen 2 in image quality. Nightfall monoculars feature large objective lenses for improved light gathering. 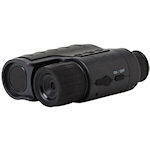 Firefall NVMT Night Vision Monoculars use Gen 1 starlight technology and feature a built-in IR illuminator. Firefield Spartan NV Monoculars feature a rubber armored ABS plastic body enclosing premium glass, and your choice of sizes. 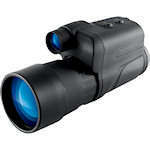 Select from a 1x24 goggle, 3x42 and 4x50 monoculars..